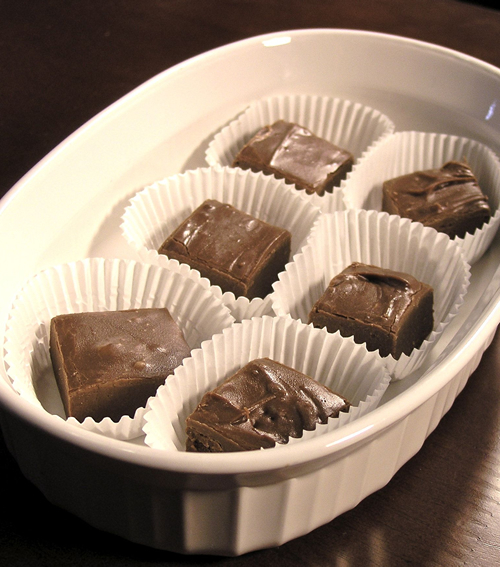 This chocolate fudge is to die for - and easy to make too! The rich and luscious taste will have you craving for more. During the Christmas/Hanukkah season, more than 1.76 billion candy canes will be made. American mistletoe, is one of 1,300 species of mistletoe worldwide - only two are native to the United States. During the Christmas buying season, Visa Cards alone are used an average of 5,340 times every minute in the U.S.
Edward H. Johnson created 80 red, white, and blue electrical light bulbs in 1882. The World's Largest Cut Christmas Tree was a 221 ft Douglas fir in Seattle, in December 1950. The American version of St. Nicholas, or Santa Claus originally came from the Dutch version called Sint Klaas. Since 1925, America's official national Christmas tree is located in King's Canyon National Park in California. Due to the number of varieties, cookies will vary by recipient. Please consult the recipes on this site for information on ingredients.